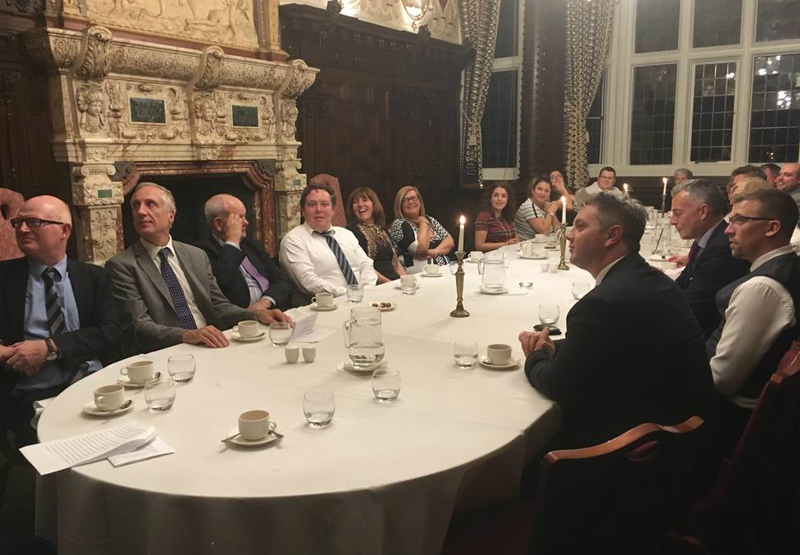 Crewe Hall hosted South Cheshire Law Society’s first annual dinner. It proved to be very popular and we welcomed solicitors from local firms such as Hall Smith Whittingham, Bowcock Cuerden, Dixon Rigby Keogh, Evolve Family Law and Tebbitts and Co. We were also delighted to welcome Rory Alkin from Catax and James Gartland from Kin Probate. After dinner, we presented Simeon Bowen-Fanstone of Hall Smith Whittingham with a certificate to congratulate him on qualifying as solicitor. He was admitted to the roll of solicitors on 15 August 2018 and we are very pleased to welcome him as a full member of South Cheshire Law Society. We rounded off our evening with a quiz which was won by Joseph Cosby.